When will be Scotland Yard next episode air date? Is Scotland Yard renewed or cancelled? Where to countdown Scotland Yard air dates? Is Scotland Yard worth watching? 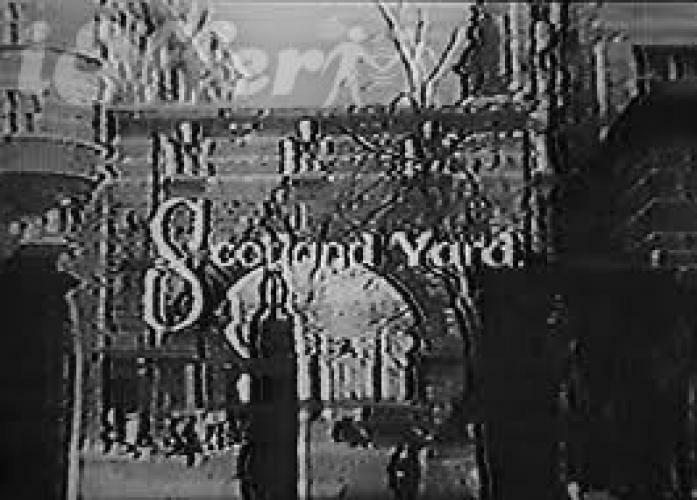 Scotland Yard was a UK Crime series which ran from 1953-1961 and which dealt with true stories from the annals of Scotland Yard Police Headquarters. Originally it was designed to be a second theatrical feature in the British cinema of the 1950s; eventually it made its way onto TV and then onto DVD. Each episode was introduced by the renowned criminologist Edgar Lustgarten. EpisoDate.com is your TV show guide to Countdown Scotland Yard Episode Air Dates and to stay in touch with Scotland Yard next episode Air Date and your others favorite TV Shows. Add the shows you like to a "Watchlist" and let the site take it from there.